Rural communities and those on living along the outskirts of urban areas share a close relationship with wetlands. Hence, lakes, rivers and floodplains are important ecosystems to support local economies and help communities meet day to day food, water and sanitation needs. They also support community resilience in the face of a changing environment. Water forms the basis of all life on earth and healthy wetlands provide the basic necessities to support livelihoods of marginalised communities. Due to their reliance on wetlands, community welfare is closely linked to the health of wetlands . However, infrastructure development, over-extraction and improper waste disposal create problems of water scarcity and pollution. The growing demand for water between different users leads to resource competition. The loss and degradation of wetlands often result in marginalised communities getting trapped in poverty, leaving them vulnerable to diseases and disasters. They suffer the consequences of water insecurity including poor health and limited livelihood options. Hence, interactions between wetlands communities and their wetland surroundings need to be carefully considered as the latter plays a role both as a source of water and a destination for waste. 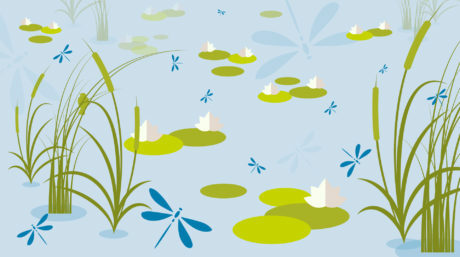 Wise use of wetlands is essential for delivering water security and sustainable water management. We protect, restore and demonstrate the cost-effectiveness of sustainable wetlands management at the local level, and influence planning at larger landscape scales.